This learn to swim swim jacket is not suitable for absolute beginners, it works best for swimmers who are fairly water confident. As the buoyancy is around the body it will help put the swimmer in a horizontal swimming position with the face tilted forward. The Original Konfidence Float Swim Jacket is designed specifically to help children learn to swim and gain confidence in the water. This swim vest for kids features 8 removable floats that allow parents to adjust the buoyancy jacket as the child becomes more confident in the water. The Konfidence Jacket swim vest promotes correct swimming position and helps children achieve a face forward position. The Original Konfidence Jacket swim vest is constructed of a high quality and durable neoprene shell with soft Lycra/Poly interior. The wetsuit grade neoprene construction and unique design eliminates the need for a strap that goes between the child's legs. The Konfidence Swim Jacket will stay in place and not ride up on the child. The Konfidence Buoyancy Jacket is highly visible on beaches or in pools, particularly with the unique bright yellow back panel. 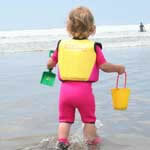 swimming and buoyancy aid for your child. The Konfidence Swim Jacket is designed specifically to help children learn to swim and gain confidence in the water. 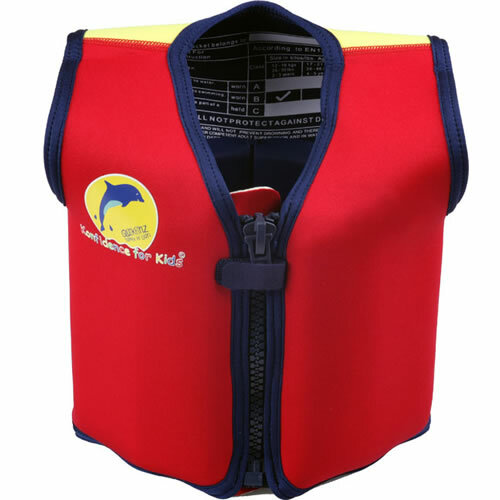 Features 8 removable floats that allow parents to adjust the buoyancy jacket as the child becomes more confident. 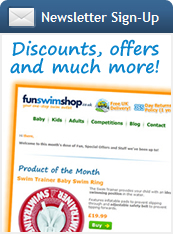 Promotes correct swimming position and helps children achieve a face forward position. The Konfidence Swim Vest is highly visible on beaches or in pools. 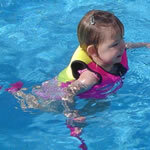 Konfidence swim vests are the ultimate swimming and buoyancy aid for your child.